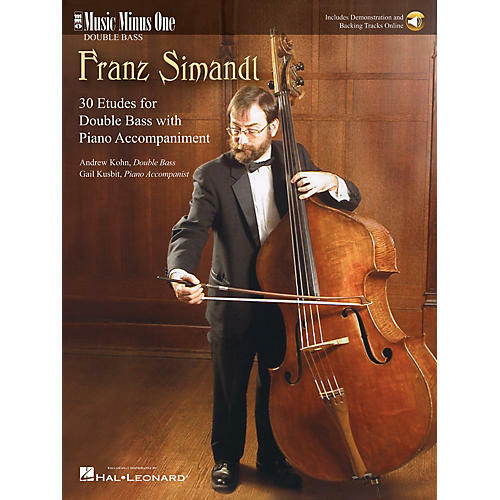 Performed by Andrew Kohn Accompaniment: Gail Kusbit, piano For the first time, all 30 of Franz Simandl's famous etudes are available with full piano accompaniment for your learning and practice pleasure. These are some of the most important pieces any double bassist will use. Covers all aspects of performance technique, including: attack, bowing, mordents and trills, intonation, dexterity, legato/marcato, leaps, syncopation, cantilena playing, and much, much more! The book includes on;ome access to demonstration and backing tracks. The audio is accessed online using the unique code inside each book and can be streamed or downloaded. The audio files include PLAYBACK+, a multi-functional audio player that allows you to slow down audio without changing pitch, set loop points, change keys, and pan left or right.